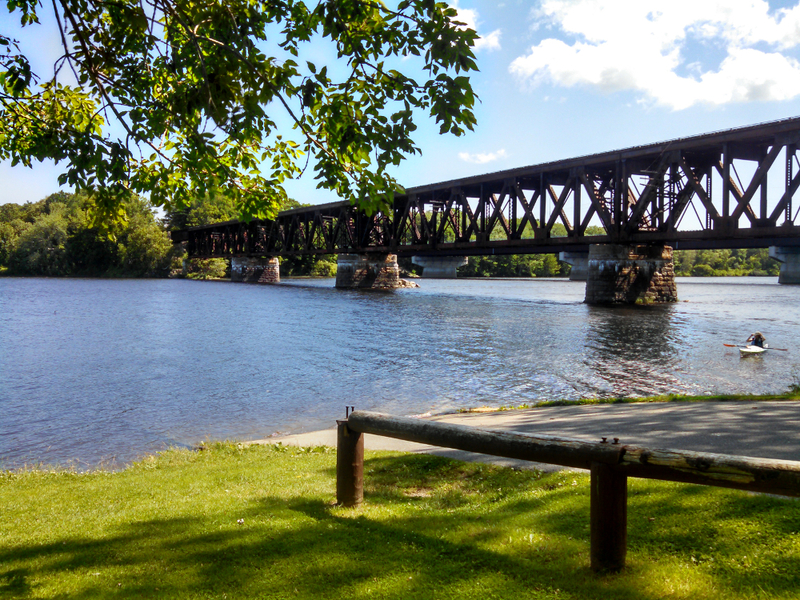 There is nowhere more wonderful to visit than New England in the summer. I must admit, however, that I’m a bit biased having grown up in Maine. Sean and I had the opportunity to head to New England recently to visit family. We tried to look at the place with fresh eyes and walked away with a renewed love of the place. A lot has changed in my hometown of Brunswick, Maine since I grew up there. The quaint downtown now has a number of new restaurants, including a Greek/Italian wine bar, two Indian restaurants and several that feature gourmet homemade specialty food. Our family favorite is the Wild Oat Bakery and Cafe, which has amazing sandwiches and soups. 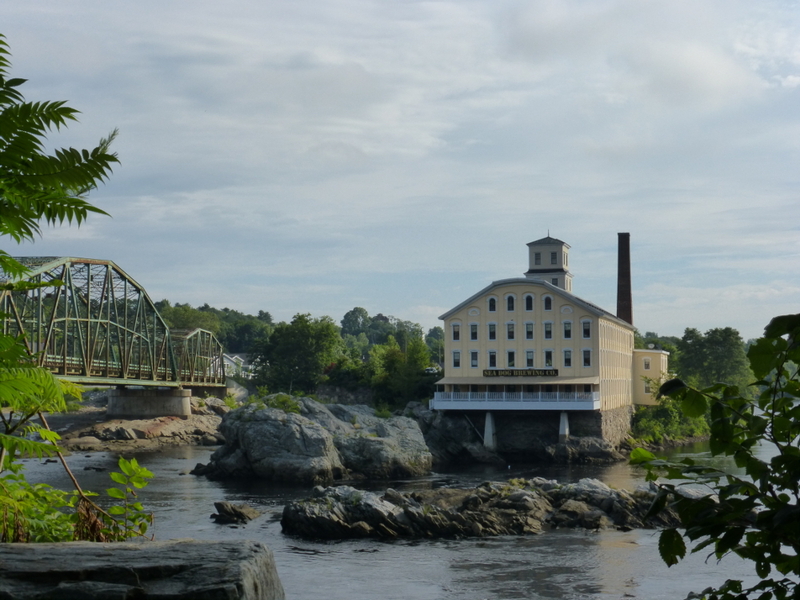 There is also now a brewery (Seadog) that sits above the Androscoggin River, which was once severely polluted due to several paper mills on its bank. Not so now . . . There is also now a beautiful bike path along its banks where you can see kayakers and people fishing. 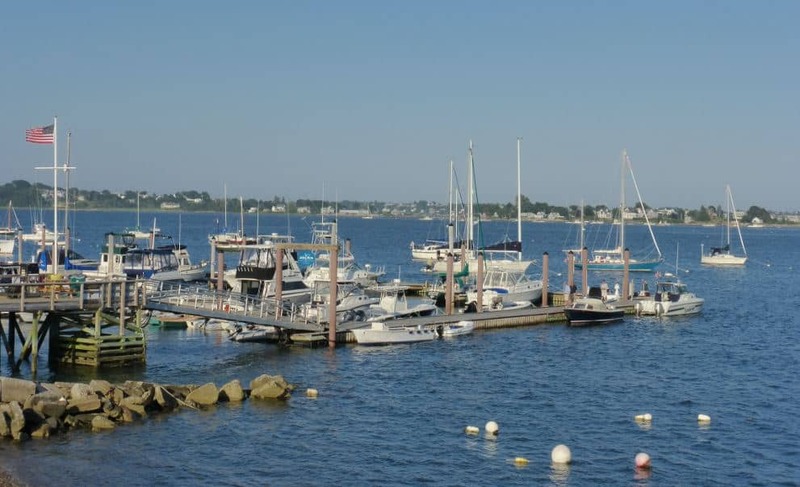 Maine is known for its breathtaking coast and Brunswick is no exception. I grew up near the New Meadows River, which is known for world class kayaking, wild life (such as osprey and eagle spotting) and fishing. Anglers looking for a private guide can contact Capt. Pine Tree (AKA Capt. Doug Jowett) who specializes in striped bass fly fishing. The fact that he is a relative certainly doesn’t harm my opinion! That said, he does have customers who will fly to Maine just for a day of fishing with him. I was excited to learn that he now offers tours of the area to non-anglers, including family trips where the kids can fish for mackerel. 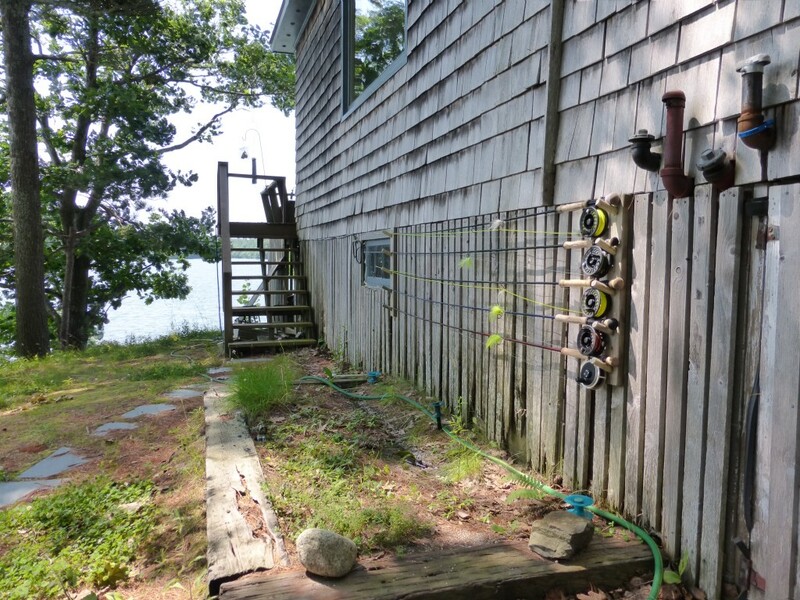 I have great memories of fishing with Doug and catching up to six fish on the line at once. He may have enticed them with a little bit of canned sardines in the water, but who’s watching . 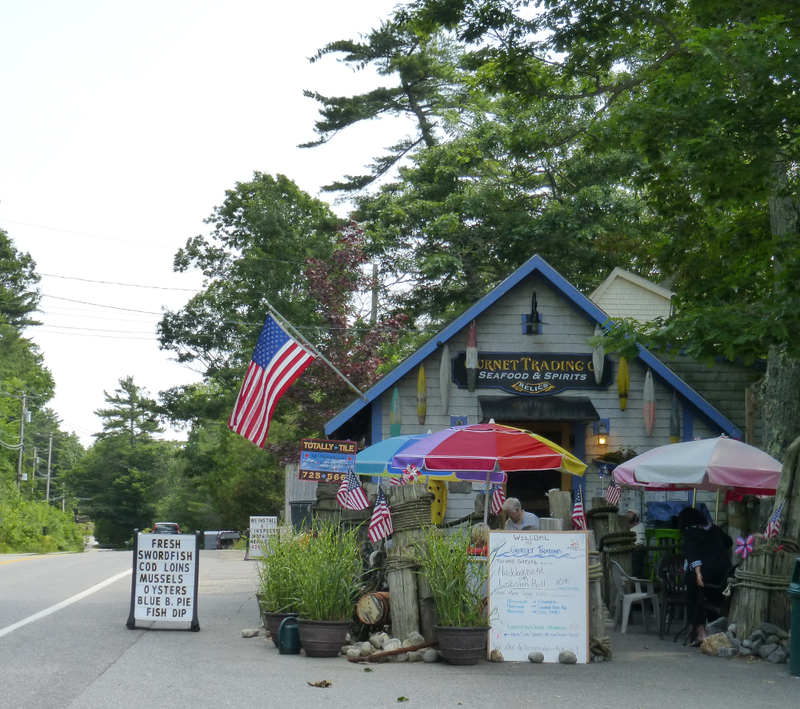 . .
You can’t visit Maine without sampling the local seafood from a local clam shack. 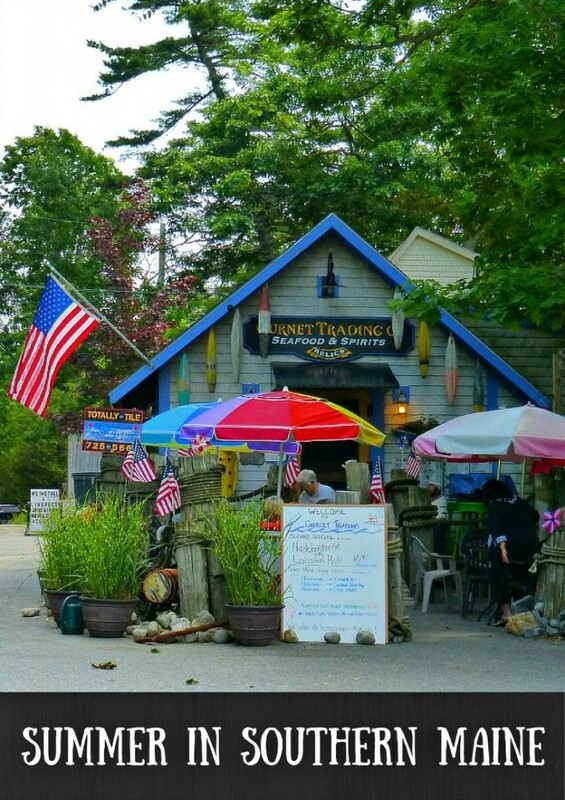 My favorite is the Gurnet Trading Company where you can get some of the best Maine fried clams and chowder in the area. 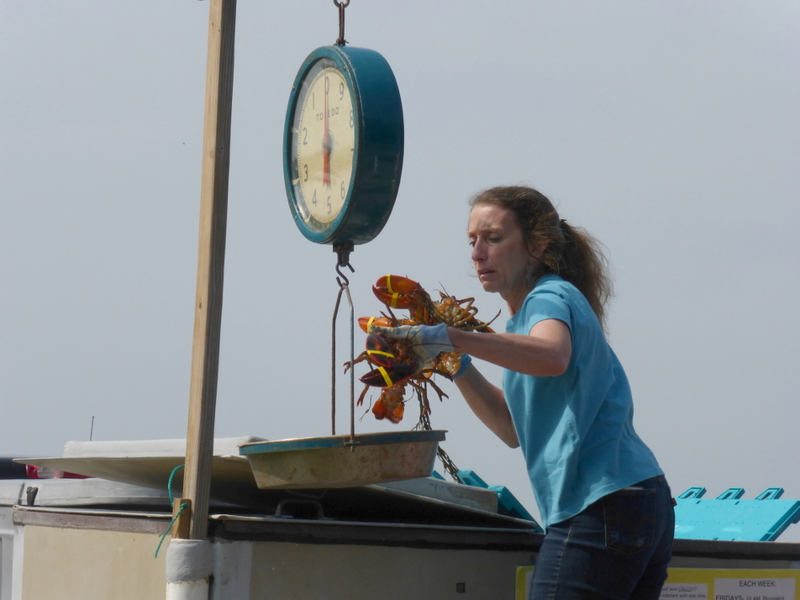 But most people who come to Maine are mostly on the hunt for our lobster, and I can’t blame them. There are many places where you can buy a cooked lobster dinner or a lobster roll, but if you plan to make one yourself, the most inexpensive way is to track down the Lobster Ladies. They sell fresh live lobster out of the back of a truck during the summer in the parking lot of a drive-in diner (yes they still have those in Brunswick, too). When buying from them they merely ask how many you want – no haggling about the size of the lobster or whether it has a hard or soft shell. Just get in the line, tell the lady how many you want, pay her and shuffle off with your prize — often for several dollars less than you pay at the market. 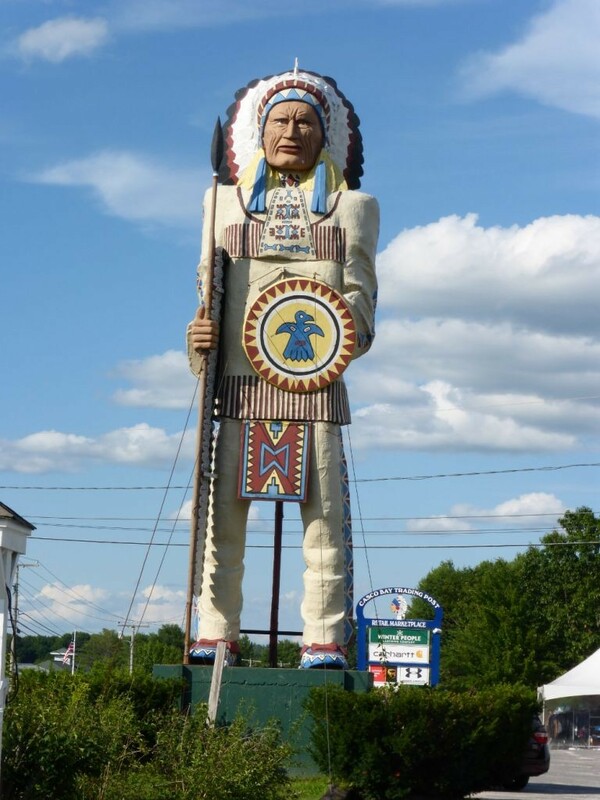 Brunswick is also about 20 minutes away from Freeport, Maine, the outlet shopping mecca that includes the famous L.L. Bean. Go not only for the great bargains but for the food. There are now several really good breweries and restaurants, including the Harraseeket Inn, where you can get the best belt busting gourmet Sunday Brunch buffet, including lobster, for about $25.00. Check out this guy on the way to Freeport along Route 1. I was always told by my parents that it was called the BFI, Big Fat Indian. He does certainly look like a very big Indian, but fat . . . hmmm. Big F Indian – I’m on to you Mom! One big surprise on this trip were all of the new and exciting restaurants that have cropped up in Maine. Since we were visiting family we didn’t get a chance to sample as many as we would if on our own, but we did discover When Pigs Fly Bakery on our way through Kittery, Maine. There is a huge bakery giving out bread samples that are so good they will curl your toes. 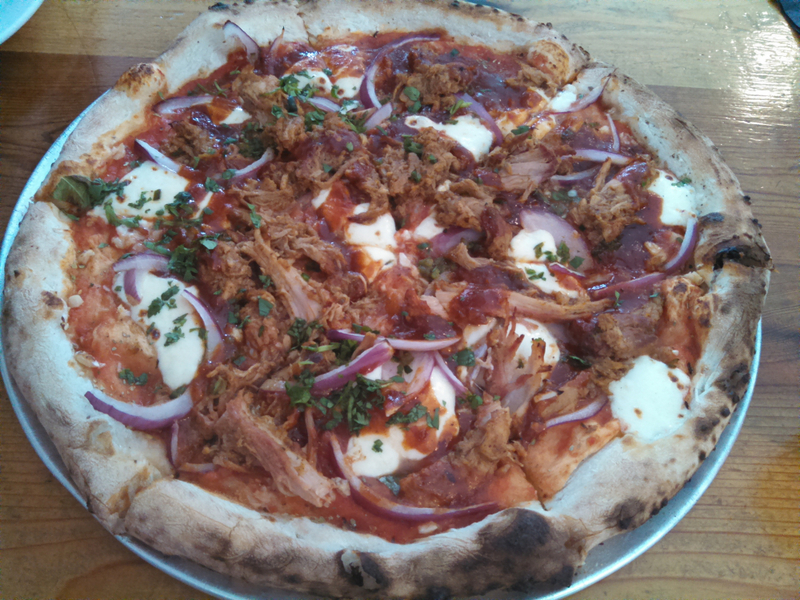 Next door is a brewery with a creative menu including wood fired pizza, which was spectacular. I have to admit that writing this post made me a little home sick. But I hope that friends and family who come across it will see it for the love letter that it is. No doubt I am very fond of the place, and most especially the people there. I will certainly be back again for a visit, and if you have the chance, you should too. Anyone in Maine will tell you that it is the Finest Kind! I’m a friend of your Mom’s and have been enjoying your beautiful pictures and interesting accounts of this amazing life adventure . 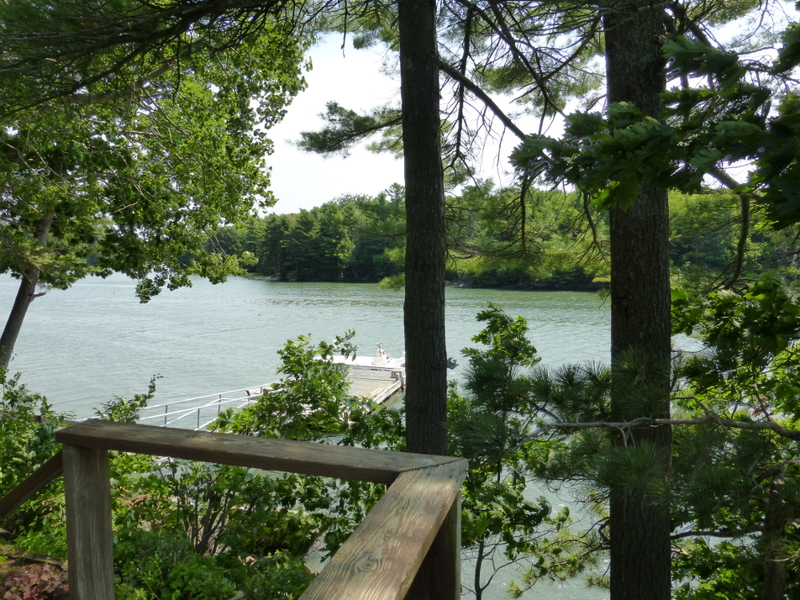 I have to agree ….Maine is a great place to be! I look forward to the next posting. Continue to have fun and be safe. Jen: its very refreshing to see the place that you live seen as a great destination. Those of us who live here often take for granted the beauty and abundance that is all around us. I loved exploring mid coast and Down East Maine on my recent trip and I agree, there is no better place to summer than Maine! New England is so beautiful! I need to explore Maine, it looks gorgeous too.